Backed by our prosperous industry acquaintance, we present Aroma Burner Candle Operated. Soft Stone Charcoal Burner with Wooden Stand. 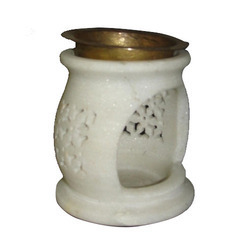 Stone Aroma Burner has become the specialty of the organization, as we are Exporting the Stone Aroma Burner in bulk quantity to the major countries located across the globe. The quality of Aroma Burner manufactured by us is unrivaled and we make it available at affordable prices. 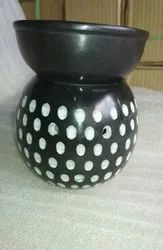 The Stone Aroma Burner supplied with various designs and crafts. - Humidify the air in the room, refresh the quality of air we breathe - give you a comfortable environment. soft stone aroma lamp oil burner oil difuser Tea lihgt candle holder.